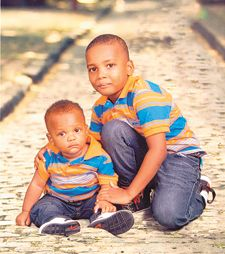 Happy birthday to our two loving sons, Ozario and Rhadario Anderson of Glebe Hill, Barrouallie, celebrating on 6th and 18th May. It seems as if it was yesterday you both were born, but youâve grown into two handsome princes now. Greetings are coming from your loving Dad and Mom, Grantley and Susan Anderson. Continue to shine on.